The Lobotomist's Dream: Name a Plant, Save a Child! Well, if you can't do both, at least try the first! Part of me wants a pet. Nothing really extravagant, just a little companion that I can have whimsical adventures with. Unfortunately, there's a policy against that (pets, not whimsical adventures). Now, I know some fellow RAs had had snuck in little gerbils/hamsters/mice (okay, it was only one of those, but I forget which), but I'm not going to hassle with that. 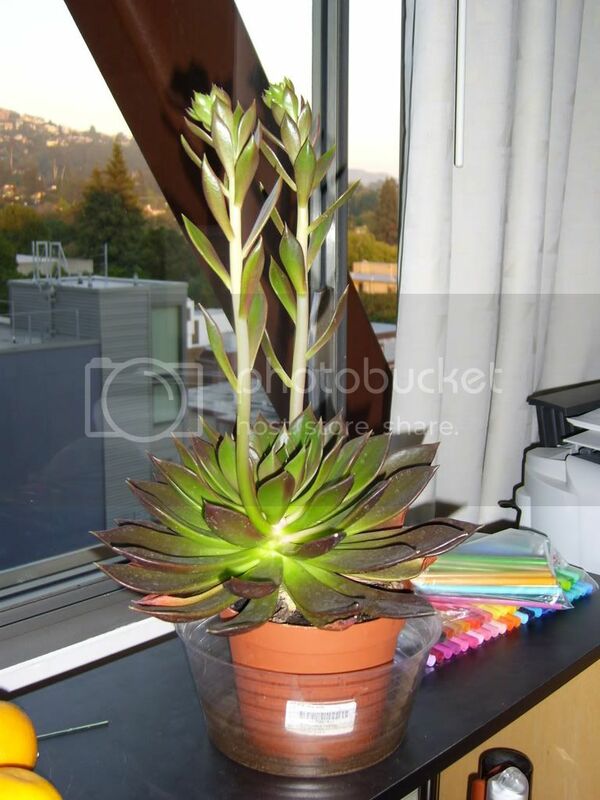 Because I can't have a living, breathing, moving creature inside my room, I decided to do the next best thing: buy a living, reverse-breathing, and very much not-moving plant. 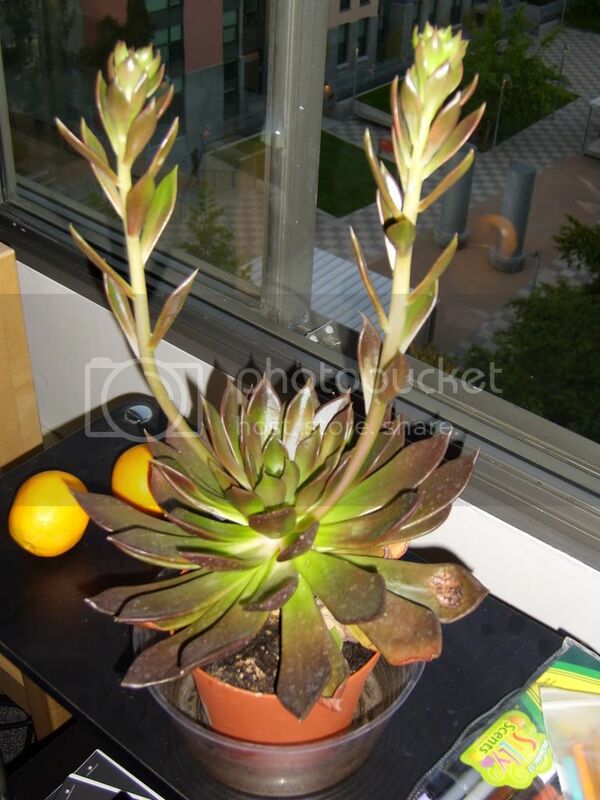 Anyway, this is an Echeveria, which is a flowering succulent plant. It cost me $12 from some nice lady in the BART station, and I chose it because a) it's big enough to feel significant; b) it doesn't seem like it would be a leafy mess when it wilts; and c) it's a low-maintenance, drought-resistant plant, which is good for someone like me, who has a thumb blacker than the midnight sky. So far, this plant has been good to me. However, I've been a father to it. You see, my plant does not have a name. Oh, I've been meaning to give it a name, but I just can't think of one that I'm satisfied with. I have a particular taste in names, and so far, nothing has tickled my fancy. What's that, you say? Why don't I name the plant "Ichabod"? As a matter of fact, this was my first idea, and I was this close to naming it that. 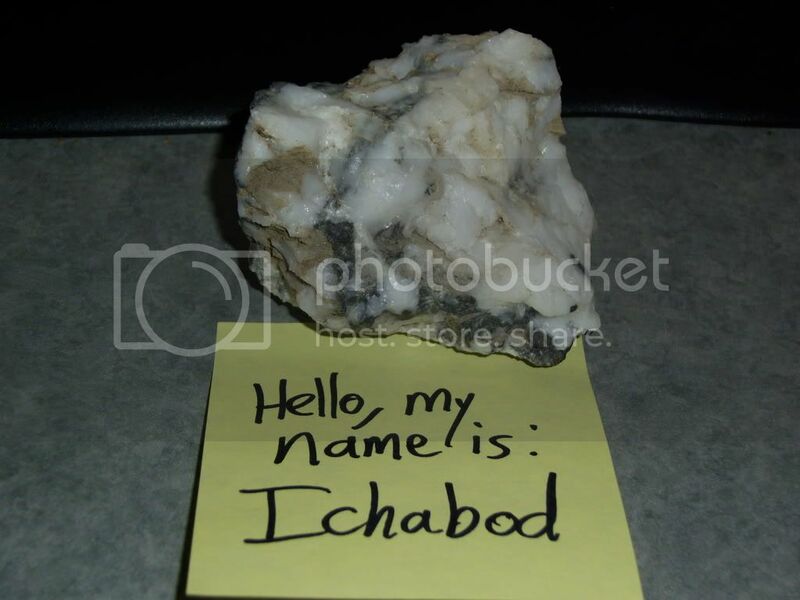 However, I soon remembered that Ichabod is the name of my companion rock. If you don't believe me, you can just ask him. See? I suppose I could also name the plant Ichabod, but then I would be the George Foreman of inanimate objects. 1. It must fit the plant (obviously). 2. 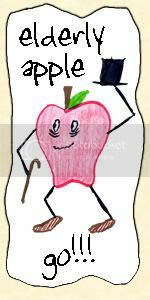 It would be best to be an anachronistic name (this is just a quirk of mine). So then, have at it! My plant's future is in your hands! This plant has a cool name and moves when you tickle it! you got yourself a pet plant. and you want to name it. God, you must be really lonely. what about Bart? thats where you got it right? Not only does my child not have that plant, I actually don't have my child! I'm in really bad shape here, Mark! Unfortunately, not antiquated enough. And I'm pretty sure absolutely everyone will think it's a reference to the Simpsons and not to public transportation. You should name it Momiji.